Lordex Back Builder from Ray on Vimeo. Spinal Decompression without strength restoration therapy accomplishes only half of what is needed to restore optimum spinal function. Maintaining the Lordotic curve is paramount because the Lordosis distributes the weight of the vertical load on the spine. Without stability the spine is susceptible to erratic motion that leads to degeneration. NOT Just a Piece of Gym Equipment – So Much More!!! 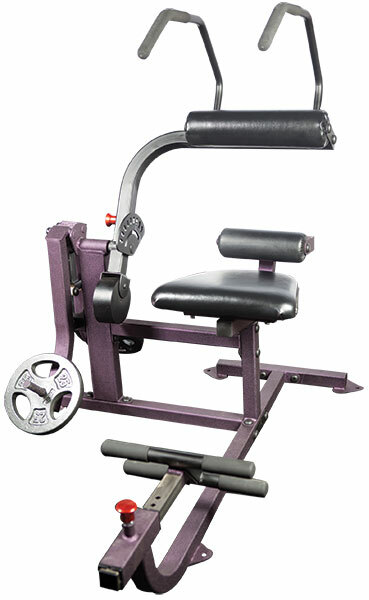 While the Lordex BackBuilder might look like an ordinary piece of gym equipment it is actually so much more. With the help of physiologists and the engineer design team at NASA in the 80s, researchers discovered the perfect angle needed for positioning, the axis of rotation for flexion and extension and the range of motion needed to be maintained for optimum spinal function. and the leg, foot placement angles needed to accomplish maximum strength benefit. When Lordex® Medical Corporation was part of the NASA space physiology testing team during the shuttle program in the early 1980s, the goal was to measure the amount of strength lost during a 3 week space flight. With the help of physiologists and the engineer design team at NASA in the 80s, researchers discovered the perfect angle needed for positioning, the axis of rotation for flexion and extension and the range of motion needed to be maintained for optimum spinal function. In a 1996 study conducted by Brian W. Nelson, Orthopedic Surgeon, 895 individuals who were suffering with chronic back pain, participated in a program. Dr. Nelsons introduced aggressive spine strength training to the study group. Following the completion of a 12-month protocol, it was discovered that restoring spine strength alone could relieve pain and prevent the need for back surgery. More than 92% of the 895 participants experienced significant reduction or elimination of back pain altogether. Order Yours Now for only $1,750 plus shipping! What Makes Lordex BackBuilder Different? Lordex® has been the only device/ machine ever to be cleared by the FDA for diagnostic and therapeutic treatment of disuse atrophy of the lumbar spine. Following the successful completion of treatment on an estimated half million people, the computers have been removed making the device extremely affordable. You can get the same Lordex technology ($15,000 to $20,000) now for only $1,750.